The Pace TDS470N comes in standard white with a 160GB drive. Only 80GB is available for personal recording though; the remainder is partitioned away for Sky's Anytime service. 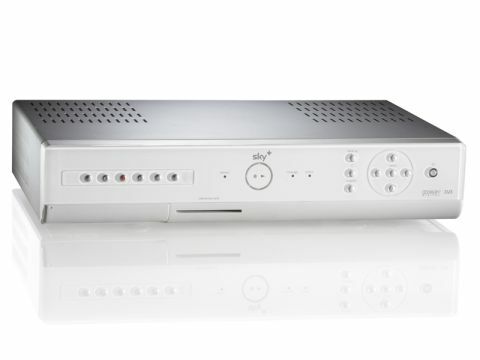 Standard Sky+ attributes include twin tuners, chasing playback and Series Link functionality. The TDS470N improves on early Sky+ receivers in the speed with which it navigates Sky's ageing EPG. Built upon OpenTV Core 1.1 middleware, this model should also be compatible with the new Sky EPG currently in Beta trial. Relatively quiet in operation, this Pace box is solid and reliable. The interface offers no surprises, but the tried-and-tested Sky+ remote is undeniably intuitive. With 40MB of SDRAM, 8MB disk cache and two banks of 4MB flash memory, the TDS470N skips around Sky EPG data. It makes first-gen Sky+ boxes look positively arthritic. Connectivity is old school. There's no HDMI support, just twin Scarts. An optical digital output delivers Dolby Digital 5.1 soundtracks for movies and a selection of TV shows.